Thirty higher education institutions from across the academic spectrum have united in an effort to increase the enrollment and graduation of high-achieving students from low- and moderate-income families. 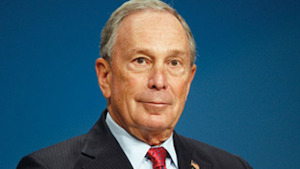 The American Talent Initiative was launched by the philanthropic organization founded by former New York mayor and billionaire Michael Bloomberg. The American Talent Initiative, launched this week by Bloomberg Philanthropies, will be funded with $10 million over the next two years with a goal of recruiting 50,000 of the economically disadvantaged students to the nation’s top 270 institutions by the year 2025. Ivy League schools, a historically Black college (Spelman College), large state institutions and private schools are among the institutions already committed. Even though graduating from a top school could increase a student’s income 25 percent, or about $450,000, over a lifetime, tens of thousands of students still don’t apply to those universities, according to Bloomberg Philanthropies. “Many of America’s brightest students don’t apply to college simply because they lack access to the right information and guidance, particularly students from low- and middle-income families who want to go to competitive colleges but don’t think they can afford it,” Bloomberg said in a statement. The initial participating institutions are: Amherst College, Bates College, Davidson College, Dartmouth College, Duke University, Franklin & Marshall College, Georgetown University, Georgia Tech, Harvard University, Johns Hopkins University, Lehigh University, Ohio State University, Pomona College, Princeton University, Spelman College, Stanford University, University of California Berkeley, UCLA, University of Maryland, University of Michigan, University of North Carolina, University of Richmond, University of Texas, University of Washington, Vassar College, Washington University, Williams College and Yale University. The project will include matching high-achieving, low- and moderate-income students with advisers and sharing information on the real costs of college after scholarship and financial aid.